On April 9th, 1909, at Smith Point Light Station, 2nd Assistant Lighthouse Keeper Devaney Farrow Jennette, wrote to Commander Robert L. Russell, of the United States Navy. Russell, at that time was the Lighthouse Inspector of the Fifth District and located in Baltimore, Maryland. I want to take a month to go home to see my family and if you will grant me the privilege you can send a man to fill my place and I am willing for him to draw my full payment. I would like to go by the third of May and will return back the third of June. Hoping that you will except of my going. It was a long haul from Smith Point Light Station, which was located in the waters of Virginia’s Chesapeake Bay, to the village of Buxton, located on Cape Hatteras, NC. This was the home of Devaney’s childhood. A place where generations of his family had lived and toiled as fishermen, lighthouse keepers, and Surfmen. The sea was part of their every breath. They led a life which often took them away from their families for days, weeks, and months at a time. 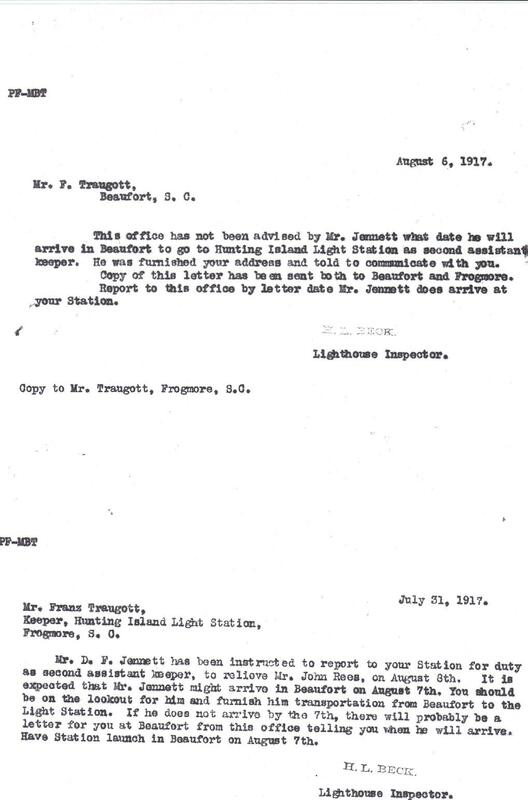 I have the honor to enclose a letter from Mr. Devaney F. Jennette, Second Assistant Keeper at Smith Point Light-Station, Va., applying for one month’s leave of absence, beginning May 3, 1909, for the purpose of visiting his family. 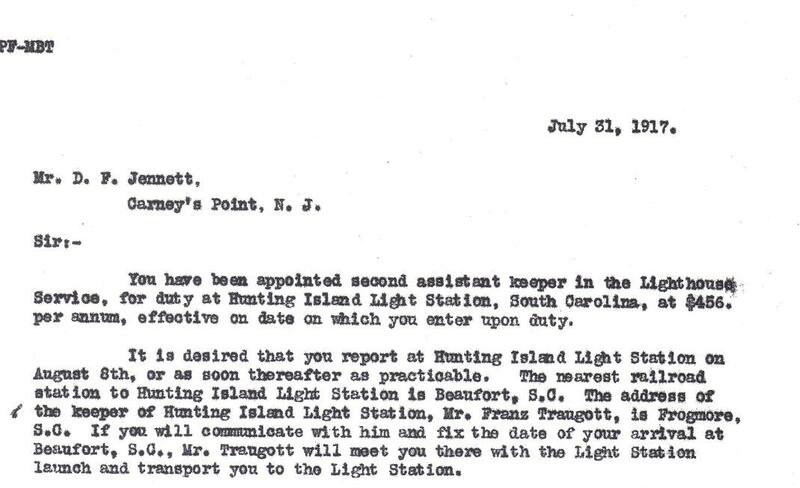 In this connection, I would state that in October last, Mr. Jennett was appointed Assistant Keeper at Thomas Point Shoal Light-Station, Md., where he served up to the 9th instant, and has had no leave except to come ashore for the mail and for other purposes. Mr. Jennett’s family resides at Cape Hatteras, N.C., and he has not been able to visit his people since his entrance into the Light-House Service. In order to reach his home, it is necessary for him to come to this city by boat, then take a steamer to Norfolk, Va., and go by rail and boat to Roanoke Island; and to reach his home from the latter place, he has to procure passage in an open gasoline boat for upwards of forty (40) miles. This journey is slow and expensive and in view of the time and money involved in reaching his home, I would recommend that the restriction of to 15 days be waived in his case, and that he be granted a full month’s leave of absence with the usual provision that he furnish a competent substitute during his absence. The return of the enclosed letter is respectfully asked. As I read and re-read the letters and documents, thoughts of today’s NC Hwy 12, come to mind. Often we grumble when we have to wait in line as repairs are made to the road. Or wonder what in the world will we do when bits and pieces of asphalt are taken out by nor’easters or hurricanes such as Irene. If only we had to travel as Pop did. But then, Lighthouse Keepers spent much of their lives enduring. A hardly lot, indeed. In the living room of the Cape Hatteras Double keepers’ quarters (DKQ) in 1928, Katherine Dobson Austin, placed a mirror under her Christmas tree that her husband, Julian Austin Sr., had cut for her in nearby Buxton Woods. Upon it she rested various miniature animals and fish, creating a Christmas scene for her family. It was her favorite time of year. She hung angel-faced ornaments and old Kriss Kringle paper ornaments while arranging and rearranging a string of glass beads on her Hatteras Christmas Tree. She took great care with these ornaments that she had brought from her home in Maryland. As she looked out the window, she proudly watched her young husband stride across the spacious light station grounds, wearing the cap of a respected Cape Hatteras Lighthouse Keeper. Assistant Keeper Julian Haywood Austin, son of John Lotson Austin and Markey “Empie” (Poyner) Austin, had been born February 20, 1898, at their family home in Trent, now know as Frisco, North Carolina. From mid 1916 until Christmas Day 1917, Julian served on three lightships including LV 71 stationed on Diamond Shoals off Cape Hatteras. He hopped jobs from one “oiler” to another and returned to the U.S. Lighthouse Service June 27, 1921. Julian began work on LV 49, which would begin his uninterrupted Lighthouse Service career. He transferred to Choptank River Light, Maryland. It was here that Julian began courtship of a lovely young lady, his future wife. Katherine married Julian on September 27, 1923. They spent a month-long honeymoon at the Choptank River Light, and Katherine loved her time as a new bridge on the old Chesapeake Bay Light. 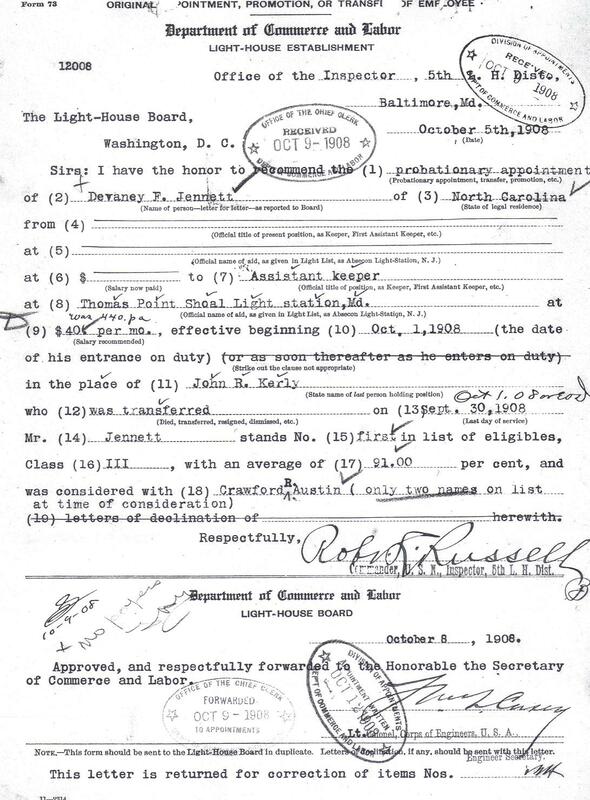 Julian transferred to the Cape Charles Light Station on Smith Island, Virginia, in 1925, and Katherine bore Julian a fine son, his namesake, May 18, 1926. Several months later, the young family would find themselves at Cape Hatteras. At Christmastime, Katherine was happy amongst a network of friends and family, learning to bake Miss Sudie Jennette’s famous biscuits while shaping their half of the DKQ into a warm home. Keeper Unaka Jennette’s son, Rany, often told Katherine that her Christmas tree was the prettiest he’d ever seen. The colorful, hand-blow glass ornaments in the shapes of a pipe with Santa’s head at the end of the stem, and the festive round ornaments became a lifelong memory for this young boy. And Julian Jr’s strongest memory at Hatteras as a wee lad is how he loved to swing on the porch of the DKQ. Contented days continued as Katherine was expecting her second child. Marilyn Ione Austin, was born in the family home in Frisco, the next village south of the Cape Hatteras Light Station, on April 14, 1929. Just days before her birth, Julian Sr. transferred to Brant Island Lighthouse in the Pamlico Sound, and later to the Roanoke River Lighthouse at the mouth of the Roanoke River, North Carolina. Though Julian was often absent from his young and growing family, Katherine was safely in the charge of Julian’s widowed mother who lived in the home built by Julian’s grandfather, William Poyner. Just across the street from his mother Empie, Julian Sr. had finished his and Katherine’s own home in 1923. Katherine was a venturesome young woman who took her two little ones with her to visit Julian at the Roanoke River Light, the family traveling to and from the water bound screw pile lighthouse by boat. When returning to the mainland, they walked to Mr. Askew’s farm near Mary Hill, where Keeper Austin parked his car in a barn. If alone on these trips, he would occasionally drop in and visit the Askews for a little friendly conversation and share news. During one trip, one of the tenant farmer’s children had measles and shared them generously with visitors. When the family arrived in Oxford, Katherine’s mother, suffering from scarlet fever, greeted them. Grandmother Dobson struggled to care for her three grandchildren. Julian Sr. returned to Bodie Island alone to handle his keeper’s duties professionally in spite of his great concern for his wife, three children, and mother-in-law. Those lonely hours standing solitary vigil at the Bodie Island Lighthouse were filled with the solace of reading. All three Austin children agreed that their father loved history. “He had his own fine collection of books; he could have taught history, he knew so much,” an admiring Verna remembered. Keeper Austin decided that Grandmother Dobson couldn’t keep all three children. Marilyn and Julian Jr. had to make their own transfer in 1934, to Bodie Island to stay with him. Julian’s first memories at Bodie Island are of the…”MOSQUITOS!” he said with emphasis. Julian did what he could to help his father such as keeping the firewood boxes filled. Marilyn washed dishes, cleaned for the family, and learned to cook from the time she could reach the wood stove. She also chopped a lot of wood. They attended school in Manteo. 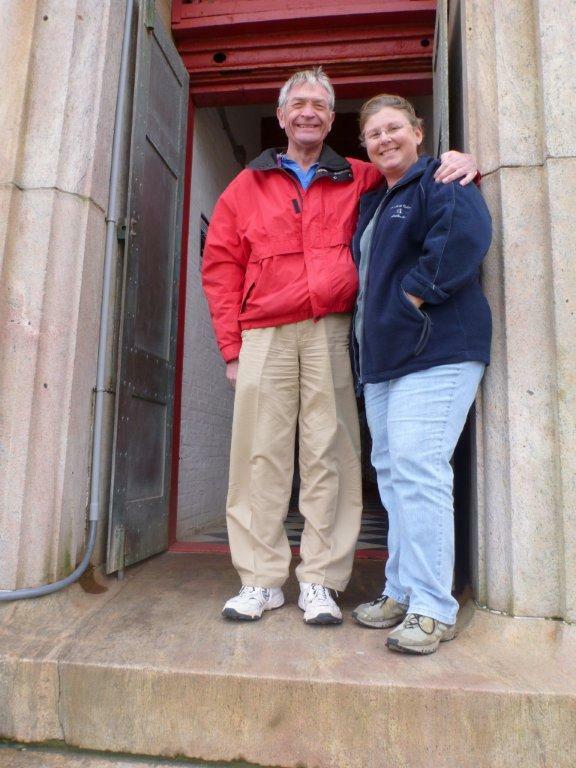 While her family tended the light station, Katherine kept her own watch from her hospital room. Separation was required for tuberculosis patients prior to the advent of antibiotics. One day, she thought she recognized a group of people approaching. Excitedly, she went into the hall by her room and waited. Echoes of her children reached her long before signed confirmed their presence. Katherine waited. “I was trembling as I walked down the long hall,“ Marilyn said in her soft voice. The woman called to her, “Marilyn!” Marilyn spun about and saw the open arms of her mother. She ran to her and her mother’s embrace held all the warmth she had dreamed of for nearly two years. For his family’s health, Keeper Austin had labored to raise a garden. Judging by the tentative hold that any life has on the windblown island, it is hard to imagine anyone could coax a garden to yield fresh produce. But Julian Sr. had worked magic with plants. “Mom and ad retired at the family home in Frisco, where she was able to love and keep her grandchildren as much as we’d let her,” Verna smiled. The Austin children cherish memories of their family. From sixty years ago, Marilyn opened her tight grip on two small pieces of paper she had been holding for hours and waiting to share. She took them from an autograph book that her Mother had given her when they were preparing to move from Bodie Island. Katherine and Julian Sr. also signed the book on Marilyn’s eleventh birthday. The second note reads, “Darling, Marilyn, this is April 14, 1940. Sometime when you’re grown and look over this little book you’ll remember the night I wrote this. Bodie Island has been taken over by the Coast Guard and we’re soon to leave here. © Cheryl Shelton-Roberts. Cheryl is a lighthouse historian and author of several books on lighthouses. She and her husband Bruce Roberts, are cofounders of the Outer Banks Lighthouse Society since 1994, which earned it’s 501 c3 status in 1995. Written by Ray Midgett of Washington, NC. In 1822, a renowned actor, while making passage between Norfolk and Charleston, had a chance encounter with a fellow passenger. Perhaps while viewing the Cape Hatteras Light, the young thespian tells of his desire “to retire from public life and keep a lighthouse”. (1) By chance, the stranger happens to be one Thomas H. Blount, the Collector of Customs for the port of Washington, N.C. As Collector of Customs, he is responsible for the administration of the Cape Hatteras Lighthouse. Mr. Blount must have been impressed with the young actor because Blount eventually offers him the position of light keeper. 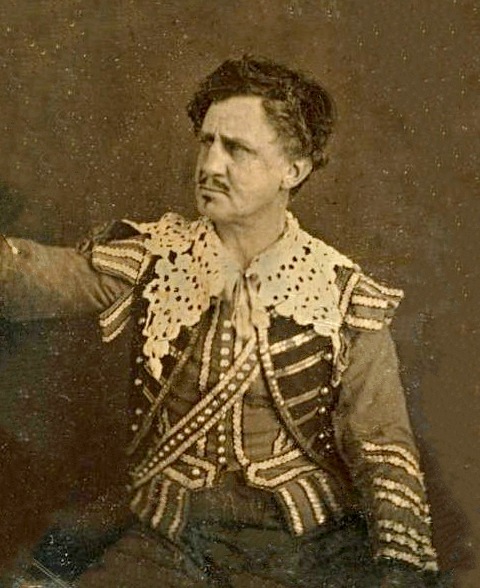 The actor is Junius Brutus Booth, the Father of the yet to be born, John Wilkes Booth. History tells us Booth was not granted the position. His managers, not wanting to suffer the loss of revenue from their superstar client, managed to prevent his appointment. Thus Booth settled down for good in Maryland, where he raised his family. One can only image how different history might be if Junius had fulfilled his aspiration to be a Hatteras Lighthouse Keeper, and John Wilkes had been raised at the Cape. 1. The Elder and the Younger Booth, by Asia Frigga Clarke. Junius Brutus Booth pp. 63-64. 3. The Elder and the Younger Booth, by Asia Frigga Clarke. Junius Brutus Booth pp. 63-64. Usually, I start a blog off by posting a photograph of the subject. This go around, there are none to be found. I will however, post one of the Cape Hatteras Lighthouse because it does play a major role in this story. Funny how researching for one blog resulted in me sliding to a quick halt, to start another. I have recently been researching my family’s connection to all who served at the Cape Hatteras Light Station. I had always known that there were Farrows, in my family tree that were keepers. Most of the names on the list, I recognized. But then I came to the name, Harvey Farrow. 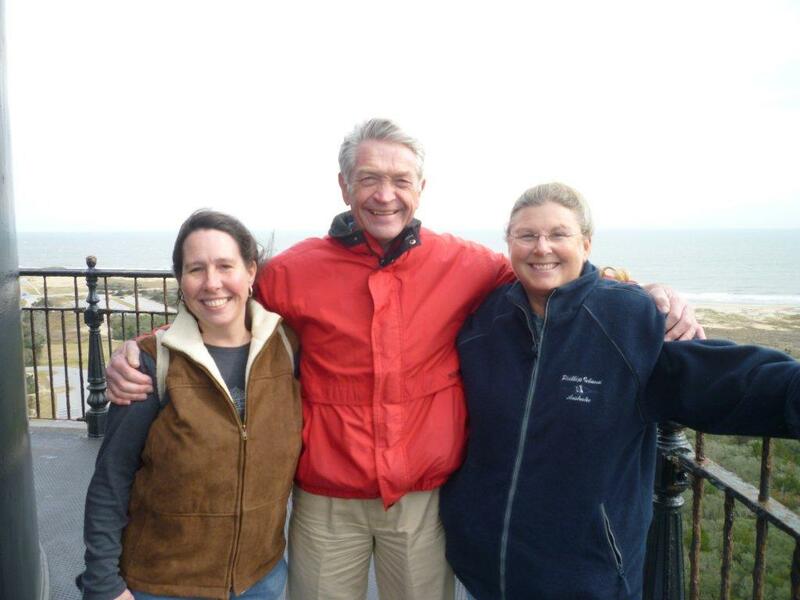 He is among those listed by the Outer Banks Lighthouse Society, as being a keeper at Hatteras. Harvey…now who in the world was Harvey ? His first name is not one common in my line, or any other Hatteras Farrows. A mystery had just been found. I headed straight for Google and ancestry.com. What I have found is just the beginning of the story. 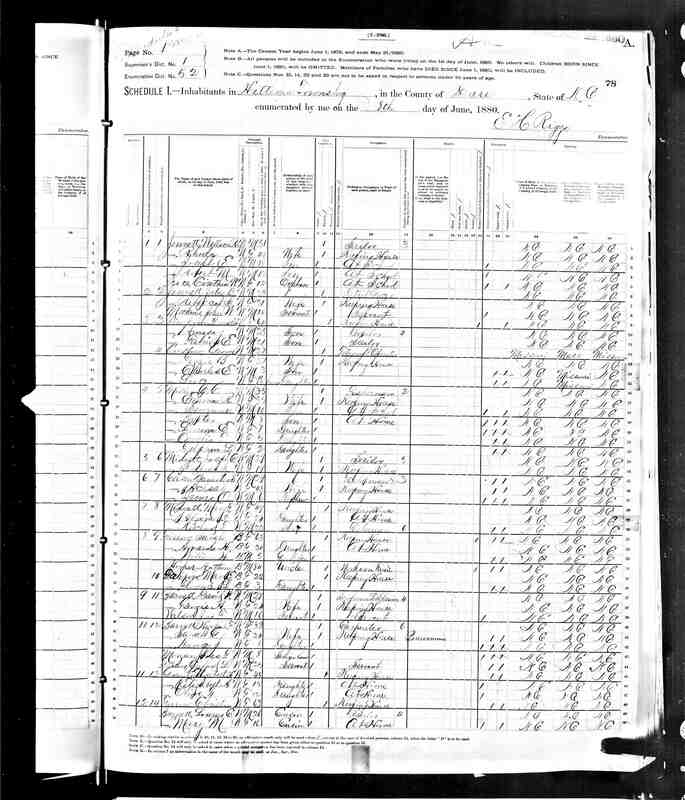 A story I’ll start off with by posting a copy of a 1870 Census from the Hatteras Township of Dare County, NC., which shows a twenty three year old Harvey Farrow, living in the same household as Harry and Sarah Farrow, along with several other family members. Their color is listed as b (black). 1870 Census for Hatteras Township, Dare Co. The 1870 Census also list a Nancy Farrow, living in the home. Nancy’s 1936 Death Certificate, does list Harry and Sarah as her parents, which proves that she was sister to our Harvey. In 1875, Nancy married a George Riley Midgett of Roanoke Island, Dare County. To read more on Nancy and George, please visit the Dare Co Genweb Project’s Will page for this family. 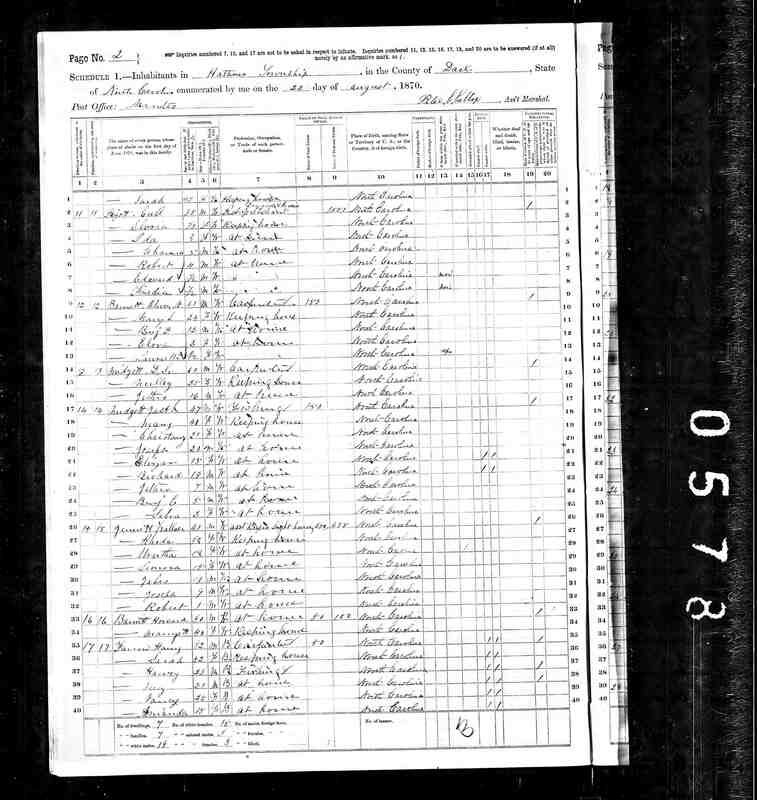 Next comes an 1880’s Census from the Hatteras Township of Dare County, NC., which list Sarah (Harvey’s Mother), as head of household. Harvey is no longer listed as living with his family, but his wife Mary and his daughter Florence still reside with them. I can honestly say that there isn’t much in the way of information on Harvey’s time spent as a light keeper, that is accessible via the net. I have contacted the National Archives to see if they have any record of him. Being that his time spent at the lighthouse was from 1873-1875, according to the Outer Banks Lighthouse Society, I highly doubt there are any. But, there is always hope. Update…heard back from the National Archives and they do not have any records for Harvey Farrow. But, the search continues ! So that is where this lighthouse keeping mystery stands at this point. I have tried to find Farrow kin but have hit a road block. If any descendants of George Reily and Nancy Farrow Midgett stumble upon this blog, please contact me. Really hoping that some of Harvey’s kin, can shed some light on the life of Harvey Farrow, and his time spent as a Cape Hatteras Keeper. In August of last year I put together a blog titled, A Lighthouse Keeper’s Request. It told of the relationship between three of my Jennette family members who were keepers. Since that time, I have been researching my ancestral connection to all who manned these historic beacons. What has been found is a family tie to those men that goes beyond a name written down on paper or a document tucked away in a file. This is my heritage. These are my people. 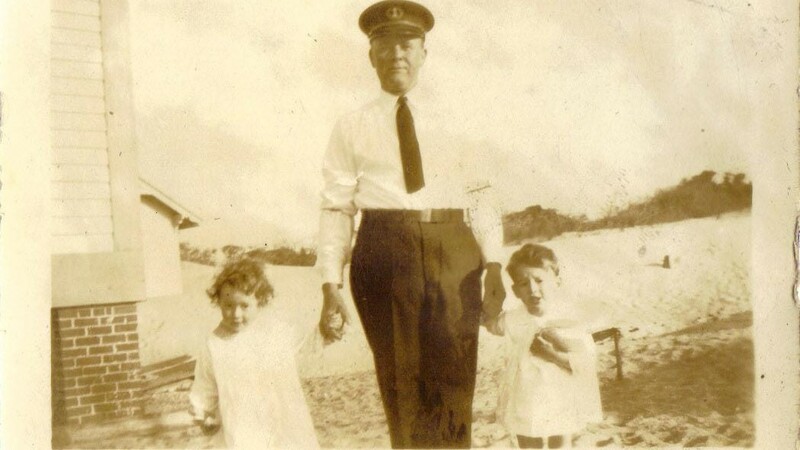 I’ll start off by giving a brief history on my Grandfather, Kenneth H. Dickerson Sr., and explain how he ended up on the remote island of Cape Hatteras, in the early 1920’s. My Grandfather was born August 21, 1900, in Pottawatomie County, Oklahoma. 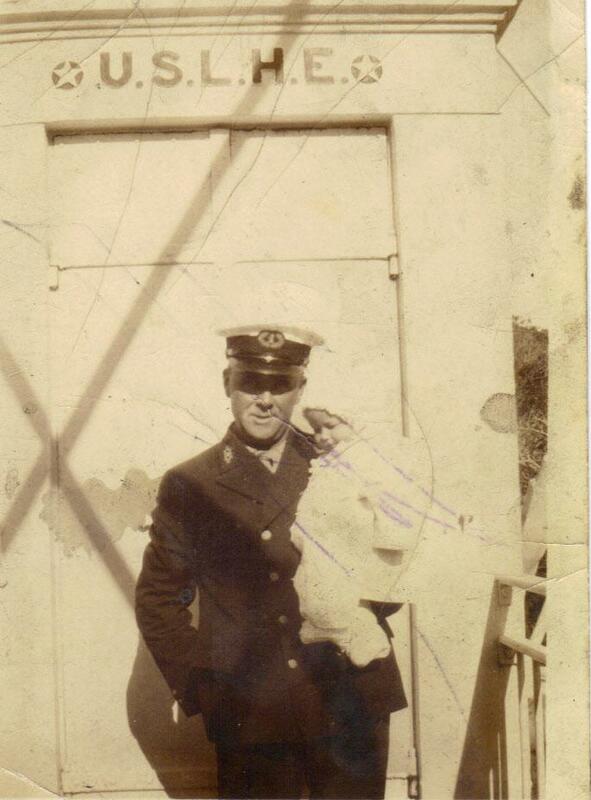 When only sixteen years of age, he enlisted in the U.S. Navy.The year was 1916. Through documentation we have learned that dear old Granddad upped his birth date by two years, in order to be old enough to join. 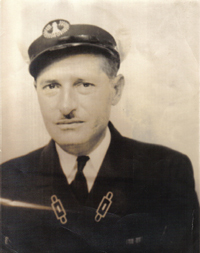 This action eventually landed him in Buxton, as a radioman with the Navy. Gladys W. Jennette, a native islander, was my Grandmother. She was the daughter of lighthouse keeper Devaney F. and Ella Gray Jennette. She was also the one who caught Granddad Dickerson’s eye and won his heart. The two married and out of this union came two children, Ella Nora and Kenneth H. Dickerson Jr. Kenneth Jr, is my Father. A Father that has many memories while growing up, of visiting such light houses as the Cape Fear Lighthouse on Bald Head Island, NC. 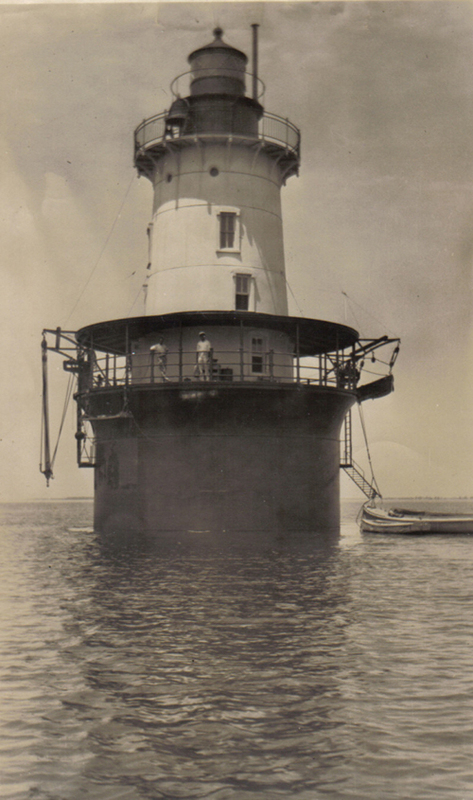 And Hooper’s Island Lighthouse, in Maryland’s Chesapeake Bay. But no memories of a lighthouse are more numerous for him than those of the Cape Hatteras Lighthouse. In the mid 1930’s Granddaddy Dickerson, as a civilian, became an Asst. Keeper at Hooper’s Island Light Station. He held this position until 1939. This is the only known station that our family is aware of, where he served. Marrying into a family of keepers, he was destined to at least give this maritime tradition a try. 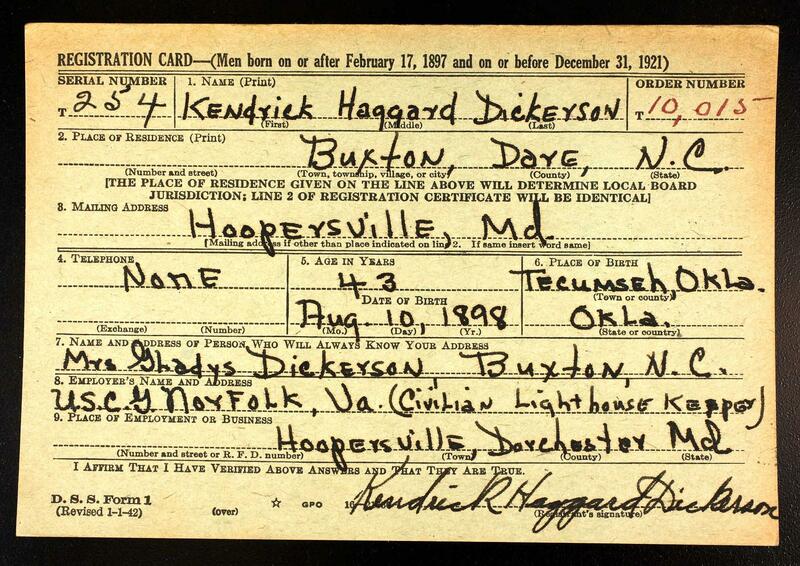 Kenneth Dickerson’s WWII Draft Registration Card. There is a memory from my childhood that I have shared many a time. When at my Grandparent’s home place in the village of Kinnakeet (present day Avon), I would sleep in the west bedroom. At night when I found it hard to sleep, I would crawl to the end of the bed and watch as the beam from the Cape Hatteras Lighthouse, would shine through the branches of the live oak that grew in the yard. Who would have known that all these years later that I would be sitting here sharing the lives of it’s keepers, these kin. Benjamin Fulcher and his wife Lydia Farrow, were my GGGG Grandparents. Their daughter Sabra, married my GGG Grandfather, William Jennette. Besides Benjamin, there were five known Fulcher keepers at Cape Hatteras Station. Amasa G, Charles, Christopher, Martin, and Randolph. 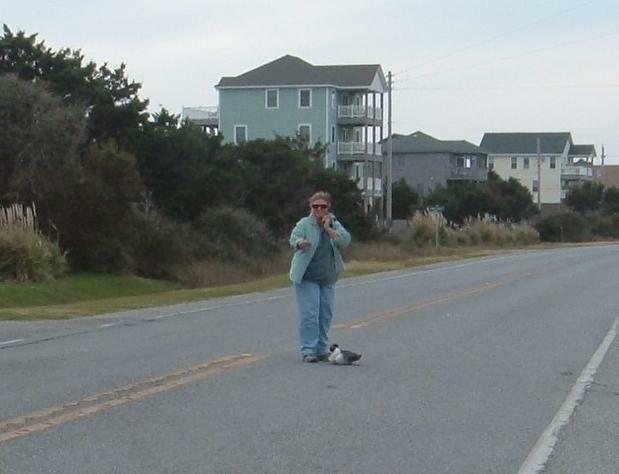 As most who are from Hatteras know, if you’re kin to one Fulcher…you’re kin to them all. Same goes with most relations when is comes to old island families. Jennette, is one of those families who are among the earliest recorded as living on Hatteras Island. This line, as Cheryl Shelton-Roberts of the Outer Banks Lighthouse Society puts it… ” this one line comprised the Alpha and Omega of the famous light station”. But this family’s service is not only exclusive to the Cape Hatteras Light. Utah Cole Jennette, son of Benjamin Jennette and brother to Hatteras Light’s last Keeper, Unaka B. Jennette, was keeper of the Cape Henry Lighthouse in Virginia Beach, Virginia…for over 20 years. And there is also my Great Grandfather,Devaney Farrow Jennette, 1st Cousins to Unaka and Utah, who after 13 years of service at the Cape Fear Lighthouse, died in it’s lantern room in 1932. VIRGINIA BEACH – Utah Cole Jennette, 84, died Saturday , Jan. 3, 1976, in a hospital. A native of Buxton, N.C., he was the husband of Mrs. Edna Morrisette Jennette and had lived in Virginia Beach since 1930. He retired as the lighthouse keeper at Ft. Story in 1954. He was a member of Virginia Beach Masonic Lodge #274 and Buxton Southern United Methodist Church. Besides his widow, survivors include five sons: Alton C. Jennette and Carl M. Jennette of Virginia Beach, Army Major Larry F. Jennette of Ft. Sheridan, Illinois, and John S. Litchfield and Linnie Litchfield of Virginia Beach; four daughters: Mrs. Robert Hohl of Virginia Beach, Mrs. Audrey Horton of San Jose, California, Mrs. Joan Ramsey of Vivian, La., and Mrs. Jackie Dixon of Norfolk; two sisters: Mrs. Ethel Middleton of Charlotte, N.C. and Mrs. Earl Miller of Kill Devil Hills, N.C.; 6 grandchildren and a great-grandchild. Funeral arrangements are pending. Maestas Funeral Home has charge. Light keeper Joseph Claude Jennette was the son of William and Naomi Farrow. Joseph and his wife, Terah Williams, gave birth two three sons – Benjamin C, Joseph E, and William B. All served as keepers at Cape Hatteras Station, including Benjamin C’s son, John B. Jennette. Then there was Jabez B. Jennette and his wife Salina Farrow. He and my Great Great Grandfather, Isaac L. Jennette, both received United States Life Saving Service medals for their part in the rescue of the crew of the wreck of the Barkentine Ephraim Williams, in 1884. 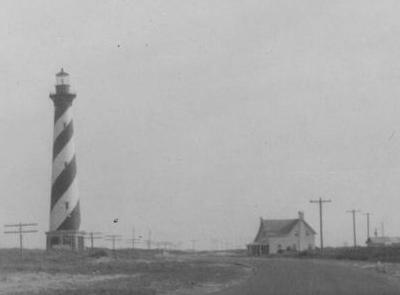 Jabez’s sons, Wallace R. and Zion B., served as Light Keepers at Cape Hatteras Station. This evening…I am ending here with this installment about my light keeping family. There is way more to come with some very unexpected twists and turns that were found while researching them. But for now…this installment will have to do. And if you haven’t been keeping track…that makes 16 lighthouse keepers in the family so far. Hope you’ve enjoyed the read. This has been a week of lighthouses and coincidences. From Cape Hatteras to Cape Fear, seems like those light keeping ancestors have been at it. For those who have already read my last blog regarding the return of the bulls eye panel back to Bald Head Island, NC., you know where it is that I am coming from. For those who haven’t, you really should read it. Then there is the lady who I met through Facebook just the other day. 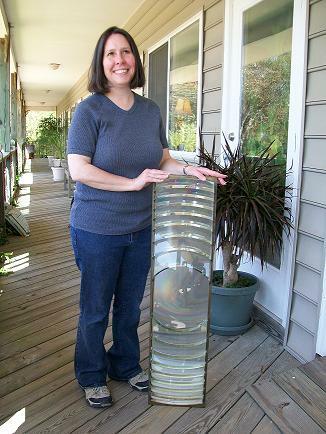 She is the owner of a prism that was from the Cape Fear Light. Another piece of the puzzle, I hope to see put back in place. And today…it has been nothing short of amazing. Started the morning off by telling my Father that I was going to run down to the lighthouse for a couple hours, and then I’d be back. By now, I should know not to say that. 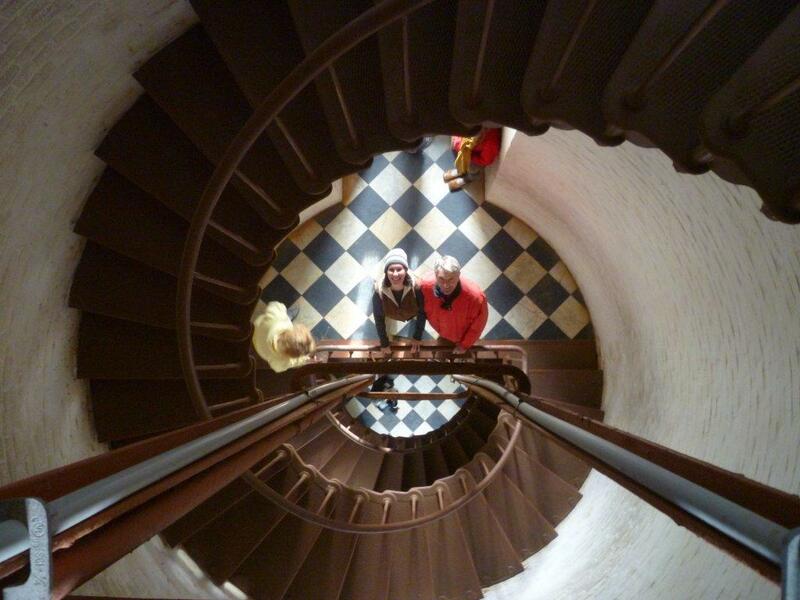 The OBXmas and climb Cape Hatteras Lighthouse event was in full swing. Visitors were able to climb the lighthouse at no charge. They were enthusiastically greeted by members of the Outer Banks Lighthouse Society, who were there to educate the public about the history of the light and to also make them aware of their mission to preserve the light houses of eastern North Carolina. Kudos to this mighty fine group. Now for anyone who is from Hatteras Island, you know that you can’t go anywhere without seeing someone you recognize or someone that is kin. Hence, I ran smack dab into my running buddy and Cousin, Elizabeth B. Fox. Accompanying her, was her long time friend, Dr. Malcolm C. Roberts,of the NCSU College of Veterinary Medicine. 🙂 Onward…we three amigos ended up, after repeatedly saying that I was NOT going to climb the light because of a bad knee, all the way up top. Man what a climb that was, but what a great memory that Cousin Liz, Malcolm, and I now share. Liz and I never seem to go just one place, when we get together. That old proverbial “snowball”, must somehow know the exact moment we pull out of the driveway. And today that snowball came in the form of a loon. Yes, a loon. One thing that I admire about Liz and her brother (Lou Browning), is that they truly care about the wild life of the island and the environment. That is what has led them both in assisting those that are in distress. Lou is the operator of the Hatteras Island Wildlife Rehabilitation. So…”Snowy” (yes, I’ve named him/her), was trying to cross NC12 by some form of flapping, scooting, hopping, and waddling. According to Liz, he was trying to make his way to the sound in order to take flight. And since they are not known for their fine walking technique, he found himself in quite an ordeal. That is until we stopped to lend a hand. Liz slowly walked up to Snowy and talked him into getting into the car with us. Okay, so she really didn’t talk him into getting into the car. But I will say that even though I was worried about him attacking the back of my head with his beak, he did make a fine passenger. After inspection by Lou, “Snowy” turned out to be alright…for the most part. By now, he may be flapping his wings somewhere over the sound. Hope he will always remember that car ride and the good hearted humans that cared enough to stop on their way to the Holiday Open House, at the Graveyard of the Atlantic Museum in Hatteras. I know we’ll never forget him. I have always enjoyed visiting the museum. Plenty of holiday cheer and exhibits greeted us as we walked through it’s door. Walt Fulcher, met us in the foyer. He has done such an amazing job of organizing the United Methodist Men’s Food Bank, on the island. Danny Couch was also there. He is a noted local historian and Chairman of the Friends of the Graveyard of the Atlantic Museum. Always an interesting conversation with him. And Joseph K. Schwarzer, who is the museum’s Executive Director, was present. Between he and Danny, I now know where to look for more info on my lighthouse keeping Great Grandfather. Thanks to you both. And thanks to all who made this day, truly wonderful. Devaney Farrow Jennette, was born and reared on Cape Hatteras, North Carolina. In 1908, he entered the United States Lighthouse Establishment. In 1932, he took his last breath and fell over into the arms of Capt’n Swan, in the Lantern Room of the Cape Fear Lighthouse. Over eighty years later…Dawn Farrow Taylor, relit the memory of a Great Grandfather, she never knew. Through listening to old family stories and genealogical research, she came to learn about his life as a dear father, a trusted friend, and a destined lighthouse keeper. And he became a man whose memory…she would never again, let fade. In the winter of 2004, I decided to take my Father on a trip back to his childhood. 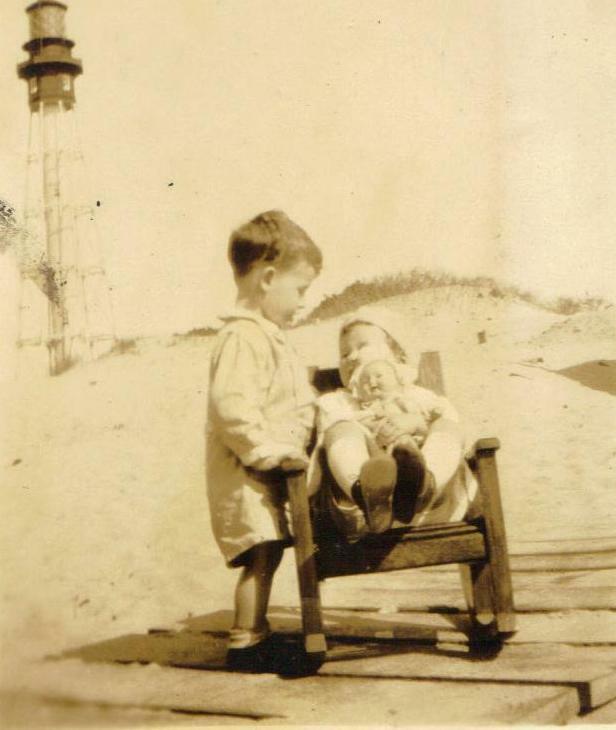 To a time spent playing on the sandy beaches of Bald Head Island, underneath the shadow of the skeletal tower known as the Cape Fear Lighthouse. This island, this place that Pop called home for 13 years, had become as much an inseparable part of our lives as our dearest family members. Have you ever thought that you were in a certain place at a certain time, for a reason you just couldn’t explain ? Call it cosmic forces. Call it fate. You can even call it divine providence. I’ll just say it was Pop’s doing, and leave it at that. One morning I found myself at the home of Rhonda Bates and Wes Lassiter, in Frisco, NC. I was helping to remove some of Rhonda’s art prints from under a piece of furniture. 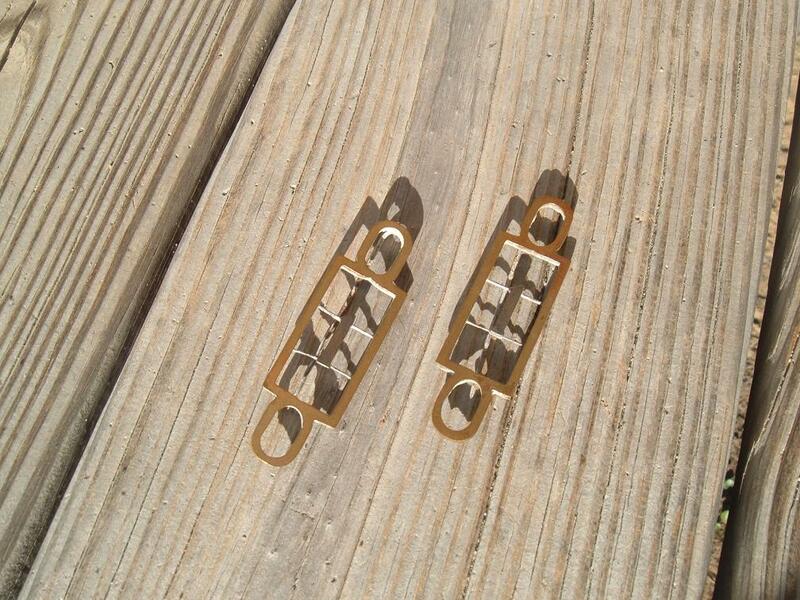 It is then that I spotted what appeared to be a large and heavy object, made of brass and very thick glass. Being out of the Jennette family of lighthouse keepers, it didn’t take long for me to realize what I was looking at. It was a bull eyes panel from a lighthouse ! 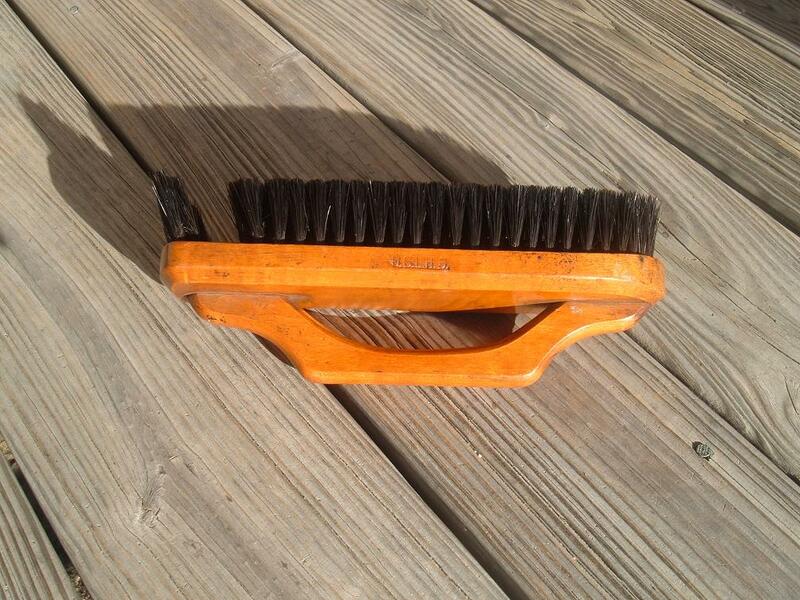 I turned to Rhonda and asked her, “Where did you get this ?” Her response was one I’ll never forget. “Think it came from some place called Bald Head Island. Wes’ Dad bought it”. At that point, I believed I knew exactly where it came from. Old Baldy Lighthouse was still standing on the island. 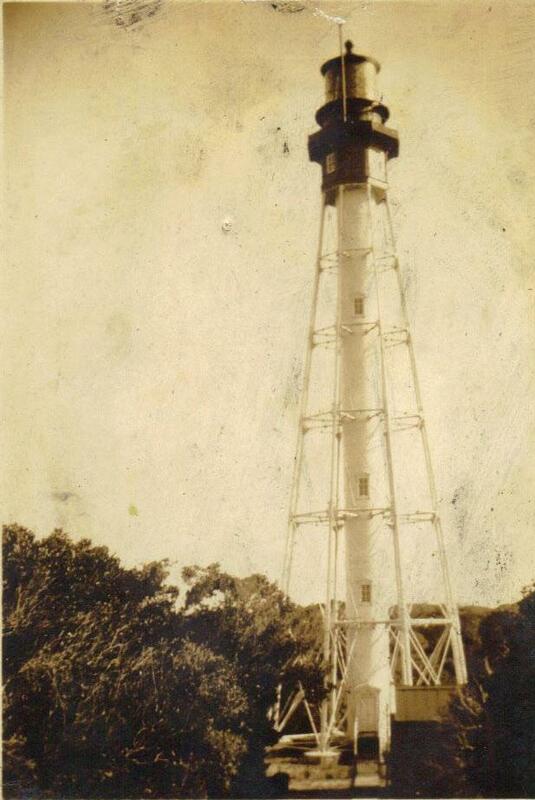 But in 1958, the Cape Fear Lighthouse was demolished and the Oak Island Light, took it’s place. 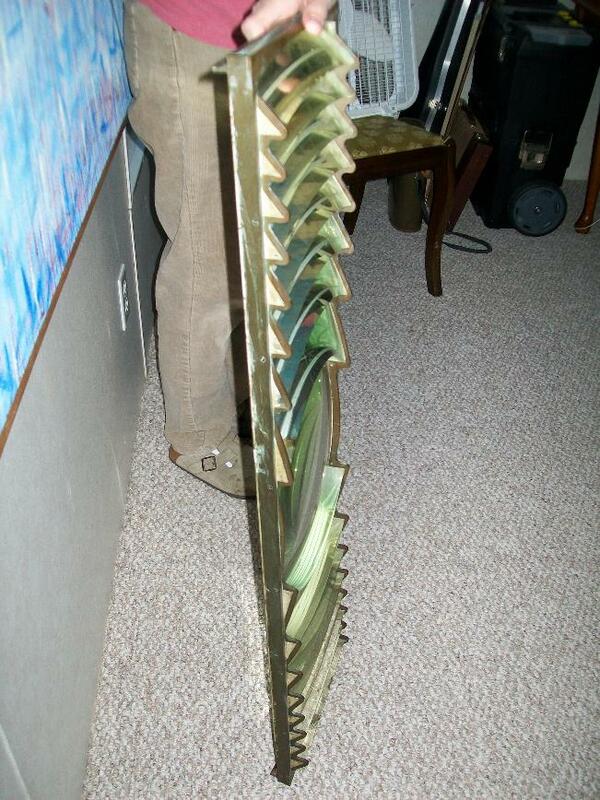 Before it’s destruction, the demolition company removed the lens and sold them to an antique dealer in Wilmington, NC. It was that antique dealer who sold the panel to Wes’ Dad. To make a long story short…the lens is now back where it belongs, on Bald Head Island. Guess Pop is still tending to his light. According to Keeper swan’s family, after Pop’s death, one could still hear his footsteps climbing those stairs to the top…one by one. Guess a keeper’s work is truly, never done. All photographs are from the private collection of Dawn F. Taylor.